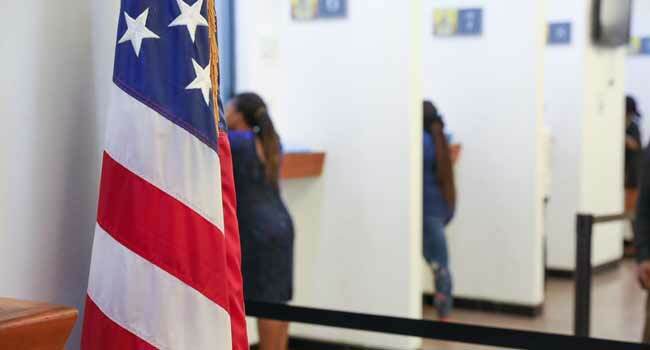 The United States Embassy in Nigeria has reacted to the outcry over the rate at which applicants are being denied visa in the country. In separate posts on its Twitter and Facebook handles on Monday, the embassy explained that it consular officers do not gain anything by denying those seeking to travel to the US visa. It, however, appealed to Nigerians to join its visa officers live on Facebook on Wednesday to know why they were denied visa as a result of “commonly misunderstood questions” in the course of their applications. The Facebook post also read “Contrary to popular opinion, Visa Officers do not enjoy handing anyone the 214b refusal letter. Proof: Visa Officers will be live on Facebook to talk about some of the commonly misunderstood questions on the DS 160 and help you improve your next application. But the explanation by the embassy has triggered various reactions from visa applicants on both Twitter and Facebook. Most of them criticised the embassy and narrated their experience when they went for an interview. Broda Shaggi calls out President Buhari & VP Osinbajo over killings young people by the Nigerian Police. CONTACT US TO POST ADVERTS HERE.